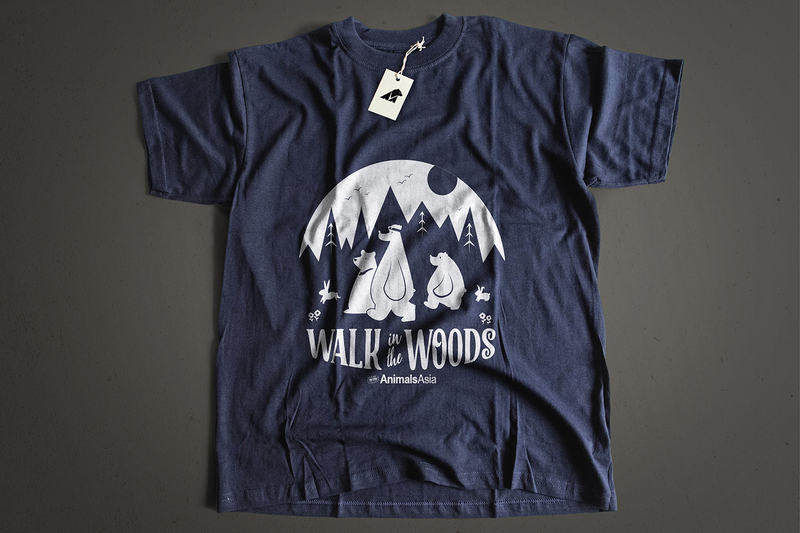 I had the opportunity to design a t-shirt of AnimalsAsia‘s Walk in the Woods event. 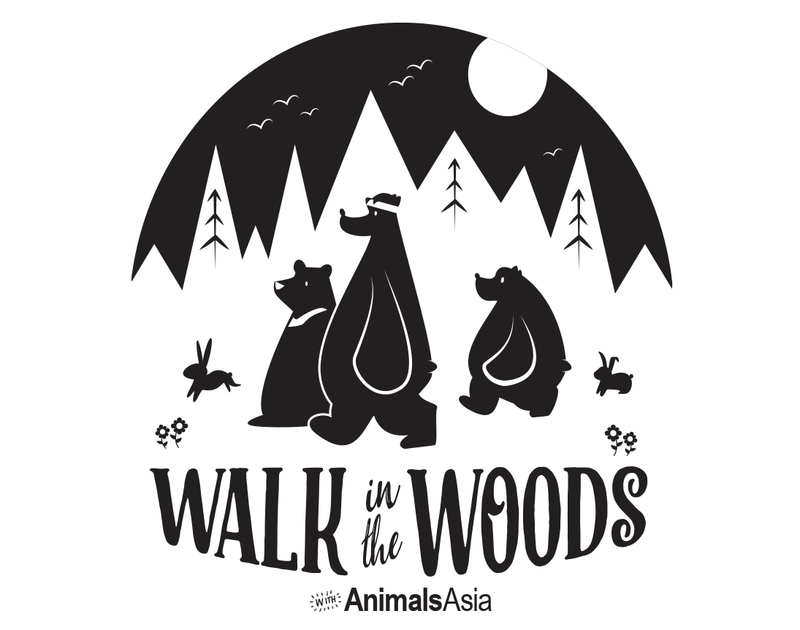 I only very recently learned of the existence of bile farms in Asian countries, and discovered AnimalsAsia through my research on the topic. I’m now a strong supporter of the organization and even sponsored one of the rescued moonbears! 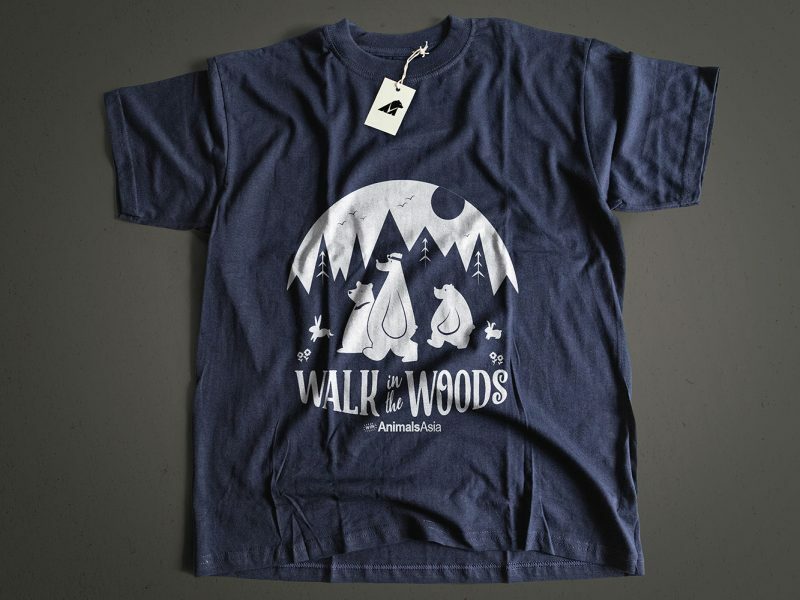 If you are not familiar with these ‘farms’, please take a moment to read this article.